In the MCU, the Ravagers are a band of criminals with a specific code. In the comics, those characters were also the original Guardians of the Galaxy. And while there’s been some speculation that the movies could switch the order around and have the Ravagers pick up the mantle, James Gunn recently talked about the spinoff potential of these characters. Speaking with Collider, Gunn said, “There’s always discussion with Ravagers—it would be The Ravagers. It’s always a possibility. I would be excited.” That seems to say that a Ravagers movie would be a separate endeavor from Guardians, whose third installment is currently—obviously—Guardians of the Galaxy 3. We saw this team show up in one of the end-credits sequences in the film: Stakar (aka Starhawk) played by Sylvester Stallone, Charlie-27 played by Ving Rhames, Aleta Ogord played by Michelle Yeoh, Michael Rosenbaum as Martinex, Krugarr (CGI), and Mainframe (voiced by Miley Cyrus). That’s a pretty stacked cast list. 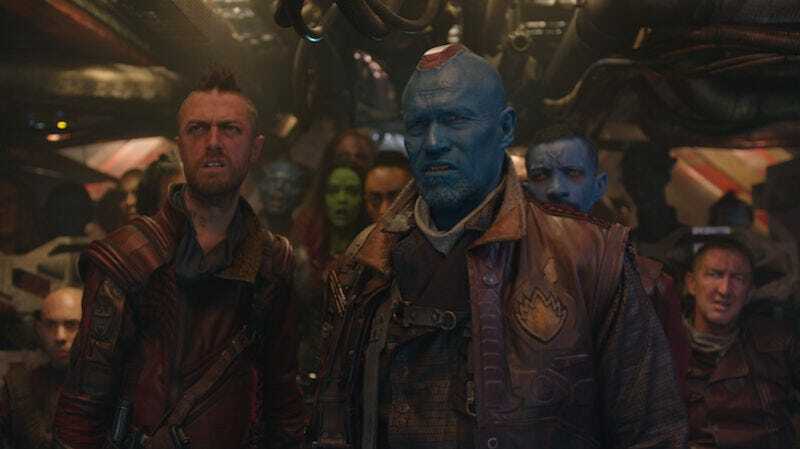 Gunn elaborated a bit on what he’d like to do with the Ravagers in an interview with The Hollywood Reporter, saying “I’m definitely interested in the direction that these characters are headed and their roles in the Marvel Universe.” If this doesn’t refer solely to their appearances in the third Guardians movie, that pretty much rules out doing a prequel story, which is a shame because it means no Yondu. Of course, it also means no chance of baby Peter Quill running around, which is a good thing.